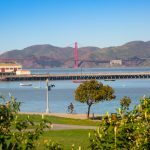 A beach with a view of the Golden Gate Bridge? Yes, please. Baker Beach is located just west of the Golden Gate Bridge but it is often too chilly to fully enjoy so it’s best to wait for a very warm day this summer. And beware, when hot, it’ll be very busy. Sigh, what better way to spend your Sunday than by laying on a gorgeous lawn with a view of the Bay and whatever you’re craving just steps away? 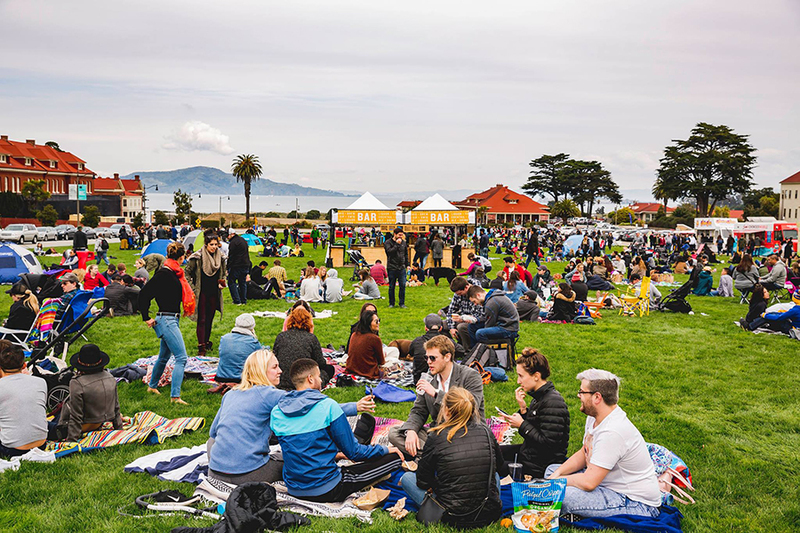 Presidio Picnic is an Off The Grid event featuring 25 food trucks every Sunday this summer! And yes, the food trucks are amazing. You can’t go wrong with Senor Sisig burritos or fried chicken from Hot Bird. 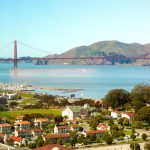 Nearest Trinity apartments: Marina Cove Apartments at 1550 Bay, 1.6 miles. 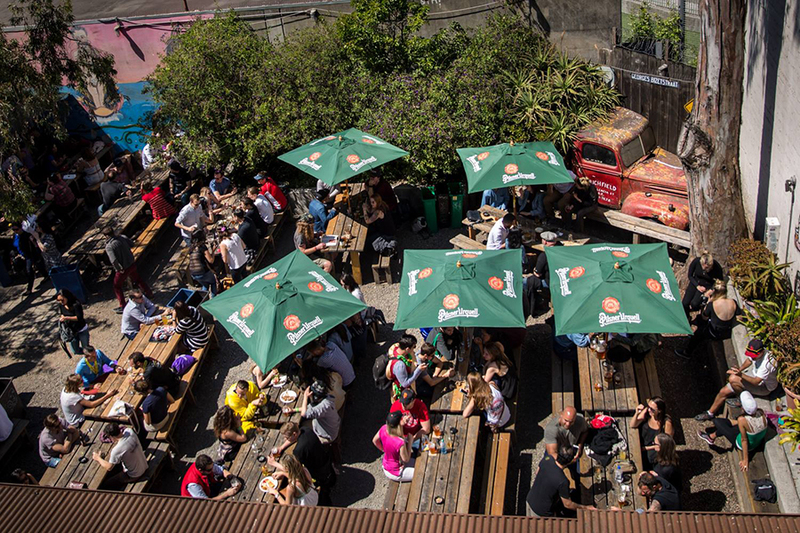 If you have friends in town and want to show them where the locals hang out, we suggest checking out our list of pubs with patios in San Francisco. Whether it’s a Bloody Mary or liter beers, we got your covered. 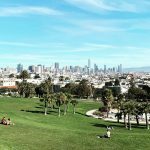 A perfect first date spot, but also just a perfect for everything spot, this park is surrounded by Victorian homes and sits on a hill offering great views of downtown on one side and Sutro Tower on the other. 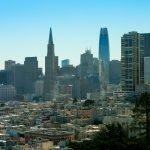 Don’t forget to stop by the Hayes Valley neighborhood once you get hungry or thirsty. 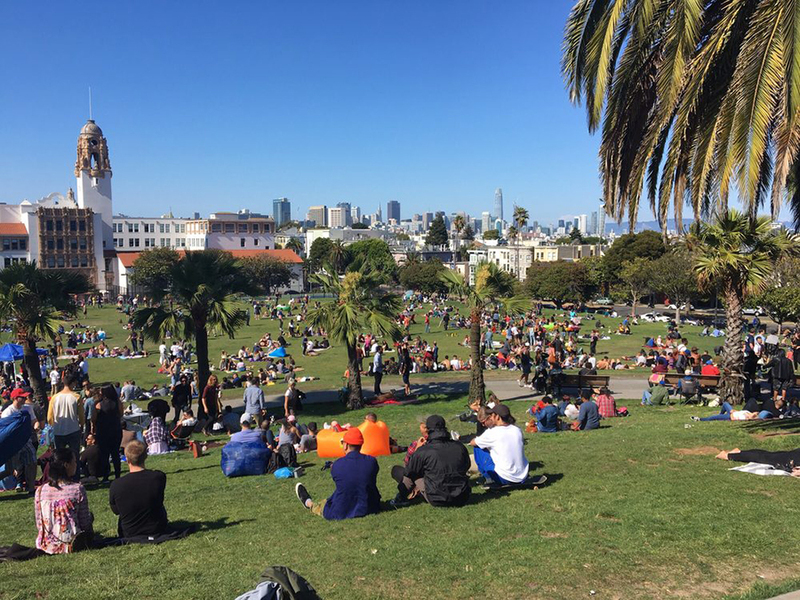 San Francisco is known for its microclimates and Dolores Park is located in the sunniest of them. Known for its free spirit culture, this 15-acre park always promises to be a good time. 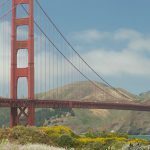 Nearest Trinity Apartments: 230 & 240 Dolores Apartments, 2 blocks away. 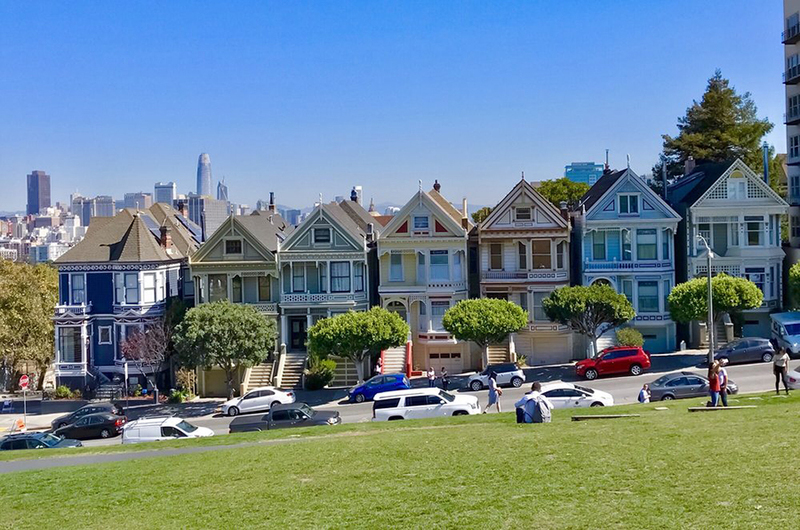 Did we miss your favorite place to visit in San Francisco during the summer? Let us know at Venus@trinitysf.com and we’ll be sure to list it next time!